This trail is right choice for those who do not know a lot about their Irish ancestors, or for those where our searches of available records indicate difficulty in obtaining further clues. 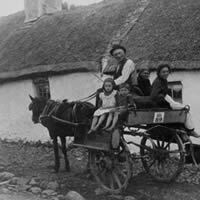 Even if you have a small amount of information on your Irish ancestors, we can craft a trail for you that takes in several walks of Irish life – we aim to have the visitor feel at home in Ireland and so partner with several community organizations to involve guests in heritage and cultural activities. Trail Only packages can take in museums, heritage centers and monuments as we assist you in gaining a sense of place for where your ancestor’s journey began. At present we specialize but are not limited to, counties Waterford, Wexford, Kilkenny, Carlow and South Tipperary.